Our cover illustration this issue is by Tomie de Paola from The Night Before Christmas (Oxford University Press). See Seasonal Stories (page 28). Sadness and fear are very much elements in a story by a new author that tells of a small, timid boy evacuated to the country and the trust that grows between him and a lonely old man. It is a lengthy story and at times runs away with itself but having observed children share and discuss this book at length and with evident enjoyment I feel it will find a wide audience. There is much pain for the reader in this tale of a child brought up by a mother so mad that she has taught him that happiness is a sin. There is also opportunity to laugh at the antics of fellow evacuee, Zac, and to smile as Willie's happiness is released. It is not a book that every child will want to tackle but a thoughtful story for the child of twelve or more who enjoys reading about people and relationships but rejects stories of everyday modern life for something a little more profound. 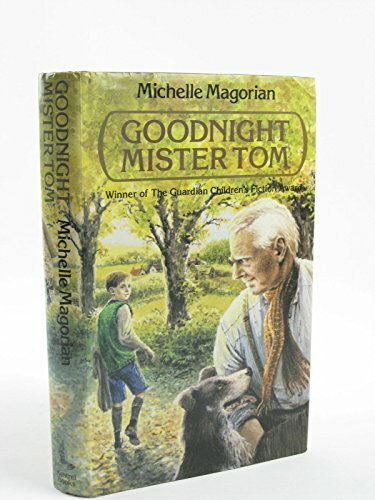 My son has thought and re-thought Goodnight Mister Tom. His own copy will be under the tree.